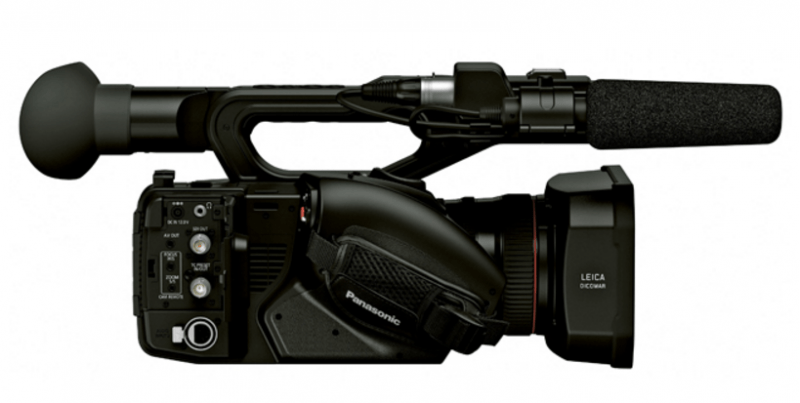 The Panasonic AG-UX-180 is an answer to videographers looking for a camcorder that can meet professional 4K video production needs. While the 1.0-type sensor is smaller than a full-frame or APS-C, cinematic effects can still be achieved with the UX-180. A scene can be filmed in different angles thanks to the camcorder’s wide 24mm angle lens with 20x optical zoom. With high-end functions and specifications, the UX-180 is highly suited for professional camera work. The newly developed wide angle 24mm lens with 20x optical zoom is one of the best features of the UX-180. The lens goes from 24mm at the wide angle to 480mm at the telephoto angle. With this feature, users don’t need large-sensor cameras that require a range of lenses. Then again, the lens of the UX-180 is fixed so you’re stuck with the 24mm to 480mm range. The good news is that zooming to the furthest the lens could go doesn’t result in bad-quality footage. 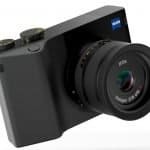 With a 1.0-type MOS sensor 9.5MP MOS sensor, the UX-180 is capable of recording DCI 4K at 24 frames; the resolution when shooting in this setting is 4096 x 2160. The UX-180 is also capable of recording UHD 4K (3840 x 2160) at 60p/50p, FHD at 60p/50p, and HD at 120fps/100fps (super slow-motion recording). The UX-180 features a lot of controls and buttons that will satisfy professional users. 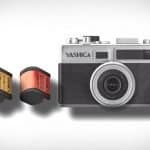 It has three lens rings – zoom, iris, and focus – which can be manually controlled. A four-position – OFF, ¼ ND, 1/16 ND, and 1/64 ND – is also featured. 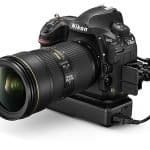 Comparisons have been drawn between the UX-180 and the HC-X1 in that they are rather similar in features and differ in their support of 3G-SDI – the latter doesn’t have it. A 3G-SDI output terminal can transmit FHD 1080/60p and 1080/50p signals through a coaxial cable up to 100m. There are two ways video shooting can be monitored with the UX-180: through a 3.5-inch touchscreen and through a tilt-up electronic EVF. The former doesn’t do too well in brightly lit conditions while the latter works fine on all occasions. The UX-180 is equipped with two channels of XLR audio input. With this, two high-quality audio channels can be recorded using the 16-bit linear PCM system or the Dolby Digital System. 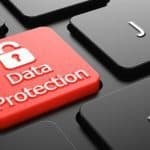 Footage can be recorded in different file formats, all of which are versatile and easy to use. Both MOV and MP4 are used to record DCI 4K, UHD, and HD while HD can be recorded in AVHCD format. 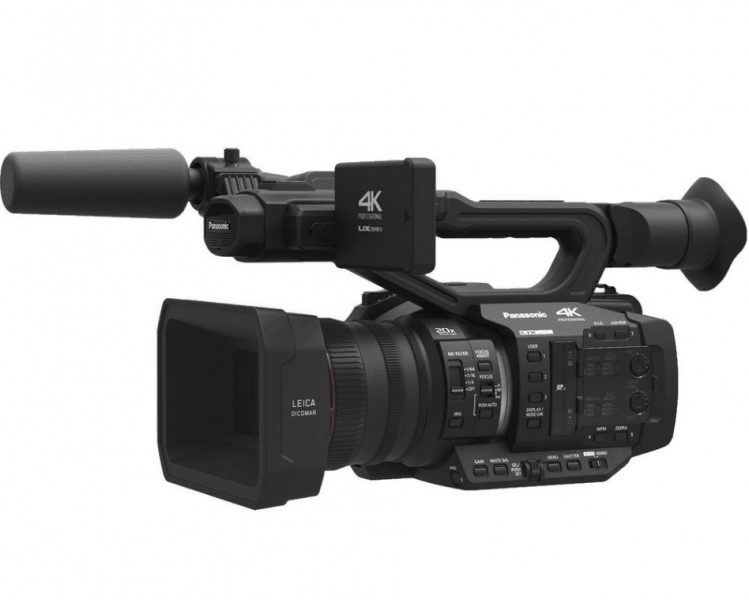 The UX-180 features two SD card slots that allow simultaneous recording in both UHD and HD. However, DCI 4K can only be recorded into one SD card. The camcorder also supports relay recording where footage is automatically recorded on the second card once the first is full. Zooming in and out of a scene is also made easy thanks to a servo zoom rocker control conveniently located at the top. The transition is smooth and it’s also aided by an excellent Optical Image Stabilization (O.I.S.) system. Autofocus on the UX-180 is outstanding as it can effectively track a subject with ease. It is easy to use. A lot of factors go into concluding a camcorder is easy to use, and the UX-180 ticks most of the requirements. First off, the rubber in the handle allows for an easy, non-slip grip which is a good thing to have especially when shooting handheld in an outside environment. The controls of the UX-180 are conveniently located and well grouped so you don’t have to hunt for them. It has a very intelligent autofocus. With the UX-180, shifting between subjects is not a messy affair. The output is still clear and neat which can also be attributed to the brilliant O.I.S. system. It doesn’t differ that much from the Panasonic HC-XI. There should be outstanding differences between models, especially from the same maker. This doesn’t seem to be the case with the UX-180 and the HC-X1. It’s not particularly good news either for this model with the latter costing less. It doesn’t give superior performance in low-light conditions. There are camcorders with better performance in dimly lit conditions but the results from the UX-180 aren’t that bad – they’re just not superior. The Panasonic AG-UX-180 is generally a good camera. 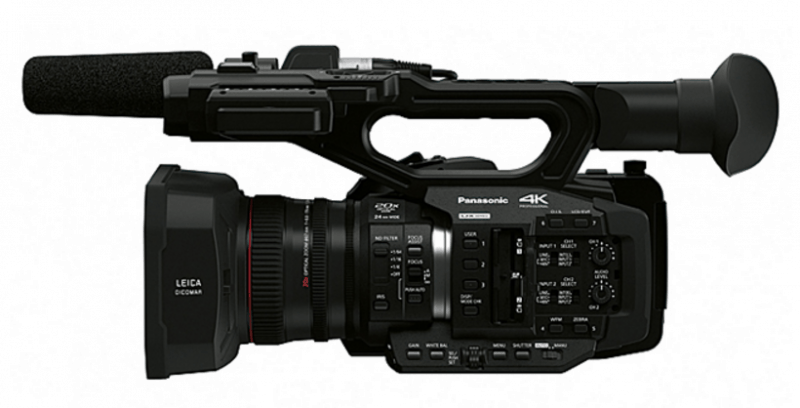 It answers a need for videographers who want professional 4K videos without spending as much. The 24mm wide angle lens can cover varied angles and is a blessing to those who don’t have a lot of resources to invest in interchangeable lenses. 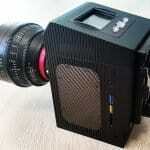 Plus, the 1.0-type MOS sensor allows the capture of cinema-like effects. All in all, the UX-180 is a great companion for news operations, documentaries, commercial productions and even indie filmmaking.